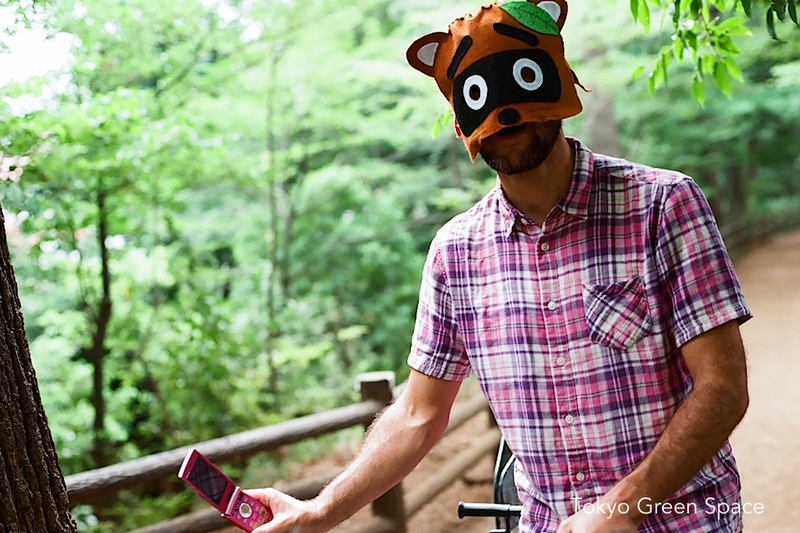 Some say that tanuki is traveling down river from his woodland sanctuary in the direction of central Tokyo. On a social media site, tanuki can be seen next to the Tamagawa josui, a canal built for the great Edo city hundreds of years ago. Can he make friends, if his only tools are a mama-chari and an antique, pink “feature phone”?